I am not an expert on Hildegard's life and work. 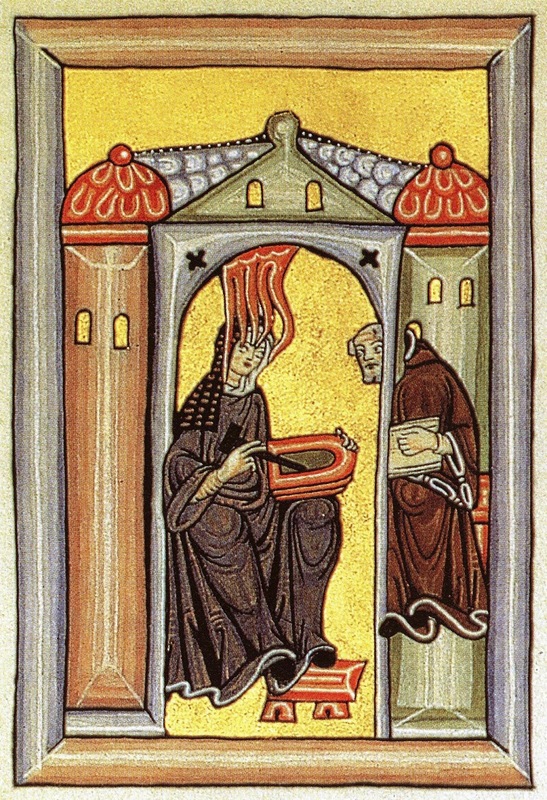 You can find links to her work and commentary on it as well as tourist information about the Bingen area of Germany at 'St Hildegard of Bingen'. Wikipedia also has some information here. Hildegard was a Christian mystic who became known for her visions and prophecies which she recorded. have read a little of those and they did not speak to me. She also wrote poetry, medical and theological works, corresponded with Popes and rulers including Henry II of England. She composed some wonderful sacred music which is still sung. "Her remarkable gifts were all brought to bear on her search for God, just as ours must be, but it was not her giftedness that brought her close to God but her determination to live a holy life, to make everything a means of following Christ. She heard the music of heaven in all things. May we do the same."